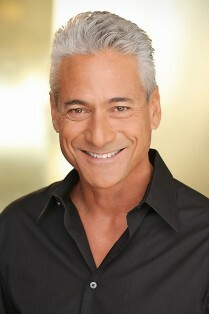 CLEVELAND – The Cleveland Foundation, in partnership with the 2014 Gay Games and The City Club of Cleveland, today announced that Greg Louganis, the first man to win two gold medals in diving in two consecutive Olympiads, will participate in the opening weekend of Gay Games 9 presented by the Cleveland Foundation. On Saturday, Aug. 9, Louganis will headline “The Power of Embracing Difference,” a Cleveland Foundation-City Club special event to kick off the first weekend of the 2014 Gay Games. Louganis will join Cleveland Foundation President and CEO Ronn Richard in a conversation on the power of embracing difference and diversity, and the impact of the Gay Games on participants and the Greater Cleveland community. Later in the day, Louganis will be part of the full-scale production at the Opening Ceremony at Quicken Loans Arena. Louganis’ visit is a double anniversary for the diver who broke records and won hearts at the 1984 and 1988 Olympics. Thirty years ago, he trained as a member of the U.S. Olympic dive team at Busbey Natatorium at Cleveland State University. Twenty years ago, the gold medalist broke ground when he came out publicly at Gay Games IV in New York. An author, Louganis published his best-selling memoir Breaking the Surface, detailing his struggles against domestic abuse and HIV. It was only after coming out as an HIV-positive gay man that he was able to find peace and help others fighting personal battles. Doors to the City Club event will open at noon Aug. 9, with the program running from 12:30 to 1:30 p.m. For more information and tickets, please visit ClevelandFoundation.org or www.cityclub.org. Gay Games Opening Ceremony will begin at 7 p.m. Aug. 9. For more information on tickets or other Gay Games events, visit www.2014GayGames.com. The Cleveland Foundation is the world’s first community foundation and one of the largest today, with assets of $2.1 billion and 2013 grants of $89 million. Through the generosity of donors, the foundation improves the lives of Greater Clevelanders by building community endowment, addressing needs through grantmaking and providing leadership on vital issues. As part of its centennial year in 2014, the Cleveland Foundation is proud to be the first presenting sponsor in Gay Games history. The foundation’s support of the Games continues its long-standing commitment to social justice and inclusion. Established to encourage new ideas and a free exchange of thought, The City Club is the oldest continuous independent free speech forum in the country, renowned for its tradition of debate and discussion. The City Club firmly believes in the free expression of all ideas and the benefits of an open exchange. It is non-partisan and does not take positions on issues. All speakers must answer unfiltered, unrehearsed questions directly from the audience. Each Forum is an hour-long program. The program starts with a brief introduction followed by a 25- to 30-minute address by the speaker. Spirited, insightful and often challenging questions from the audience fill the final half-hour of the program. The Gay Games is an international sporting and cultural event held every four years under the founding principles of Participation, Inclusion and Personal Best™. Launched in 1982, the Games invite participation from everybody, regardless of sexual orientation, race, gender, religion, nationality, ethnic origin, political beliefs, athletic or artistic ability, age, physical challenge or health status. The Games are intended to bring a global community together in friendship to experience participation, to elevate consciousness and self-esteem, and to achieve a form of cultural and intellectual synergy. The Gay Games are open to anyone 18 years or older. About 10 percent of participants are from outside the LGBT community.